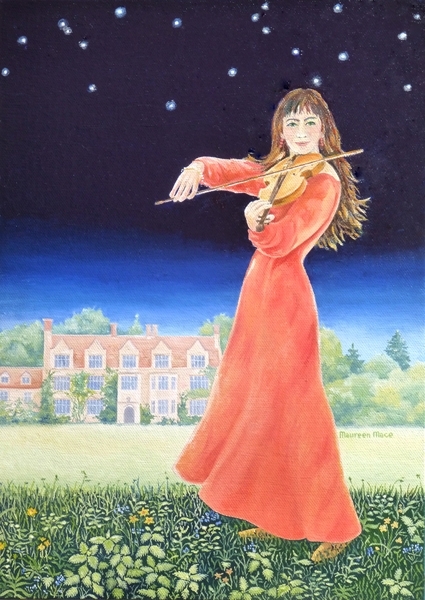 A violinist plays magical music in the grounds of Anglesey Abbey. The Abbey is run by the National Trust and is just outside Cambridge at Lode. It is a great place to meet friends and have an invigorating walk.